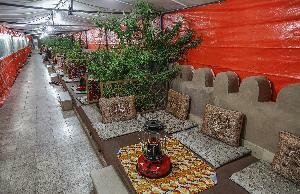 This restaurant offers a variety of tasty fast food options as well as delicious Persian meals. This fast food joint has a variety of tasty pizzas and sandwiches. 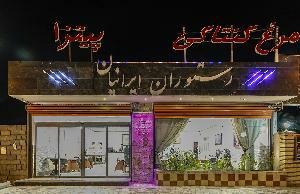 This restaurant has a variety of Persian dishes. 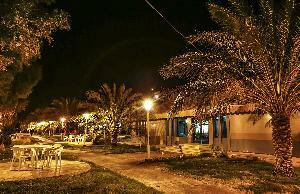 Persian Gulf Blvd., Bagh-e Dasht Sq. 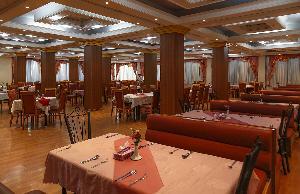 Located in Bam’s Parsian Azadi Hotel, Gol-e Sorkh (Rose) serves a variety of Persian dishes. 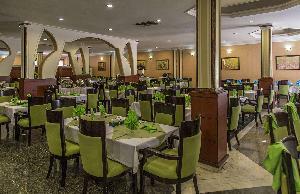 Nakhl-e Sabz (Green Palm) restaurant serves a variety of Persian and international dishes. Kilometer 10 of Bam- Zahedan Rd. 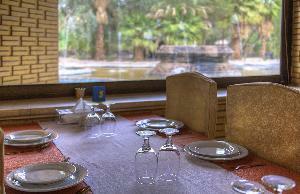 Located in the Arg-e Jadid Hotel of Bam, this restaurant serves a variety of Persian and international dishes. 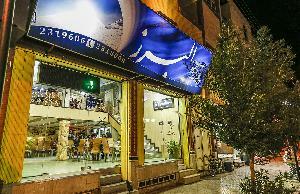 Imam Khomeini Blvd., After 17 Shahrivar Sq. 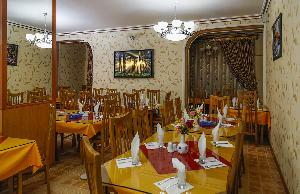 Located in the Tourism Inn Hotel of Bam, this restaurant serves a variety of Persian dishes.